Killer Is Dead is the upcoming action game from the folks behind No More Heroes and Killer7. The game follows 35 year-old Mondo Zappa, a suit-wearing executioner responsible for taking out heinous criminals with a katana. A gun that can turn into a drill is embedded in Zappa's left hand—an augmentation he has no memory of getting. The weapon becomes increasingly powerful during the game, and it can be used to absorb enemies' blood for a powerful "Adrenalin Burst" slash attack. Also included in the blood is "dark matter", which can apparently be changed into energy. The American born Zappa works at an "executioner's office", managed by Brian Rozen, who was also augmented, to become a world-class executioner. Joining Zappa is his boss at Rozen's firm, the cat-suit wearing 25 year-old British born Vivienne Squall. Mika Takekawa, 20, is Zappa's assistant. After an earlier incident, she met Zappa and then started living with him because she can make excellent soft boiled eggs, his favorite dish. Then, there's the evil Victor, a criminal who is dressed kind of like Mozart—if Mozart had glowing eyes, skeletal features, and green skin. Victor manipulates human emotion through song and aims to bring evil to the world. Besides the international characters, the game uses various backdrops, such as old Western houses and Japanese buildings. Previously, Goichi Suda said that Killer Is Dead is not a sequel to Killer 7, but that the new game does take cues from the previous title. The cel-shaded artwork does have a Killer 7 vibe to it. 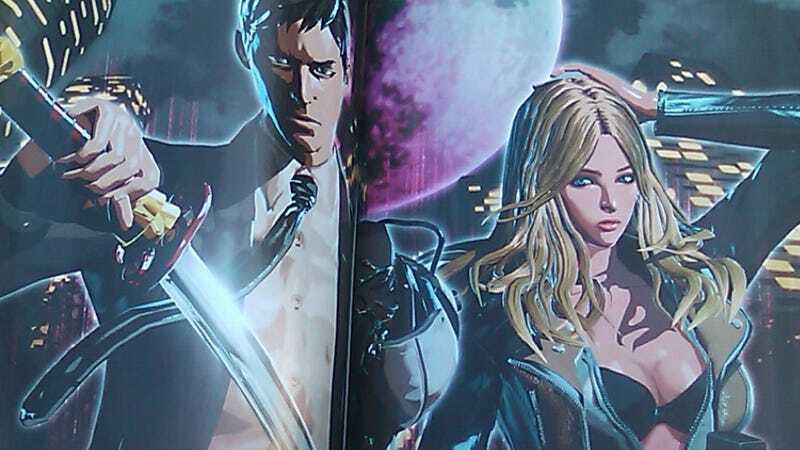 Killer Is Dead will be out this summer in Japan on the PS3 and the Xbox 360. In case you missed it, here is some concept art for the game.